There are many steps that can be taken to start a business. Often, the process of establishing a company starts with the planning stage. This is considered as the first and often the biggest step that business-minded people who want to start a business take. During the planning stage, the individuals that will be involved in the founding of the company will have to prepare a comprehensive business plan. There are many reasons why we can consider publishing and being able to creatively and attractively present a comprehensive business plan as something important. 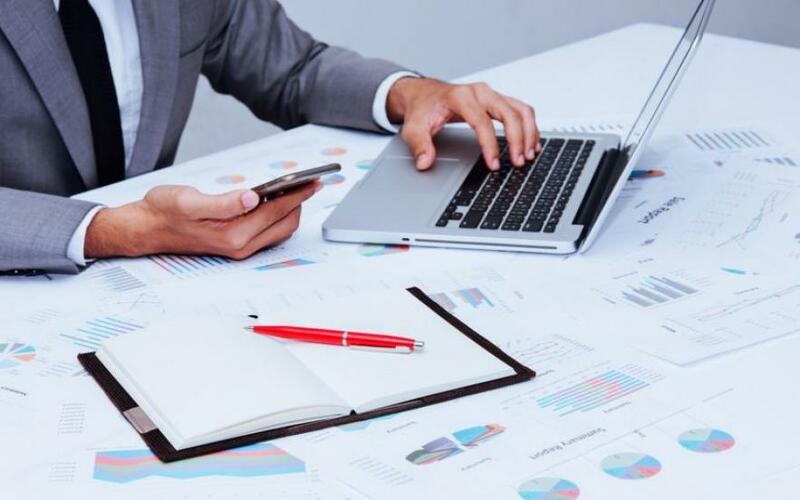 One of the reasons is that regardless the type of a funding plan and the strategy which business owners would choose, be it in the form of equity via the aid of investment banks or in the form of debts such as corporate bonds and commercial bank loans, they will have to present an understandable and in fact, a highly workable and feasible business plan. At some point, those who will present the business plan would even have to come up with certain plans and strategies on how they are planning to make most, if not all, of the assumptions they made in their proposed business plan possible because otherwise, they would not be able to attract the attention and the vision of the bank and or the investors, depending on the type of funding strategy that the business will use. Is writing a comparative essay an overwhelming task for you at the moment while a deadline is around the corner? Don’t give up, Pro-Papers is here to help you to solve your problem! At the same time, challenging often follows after the business owners have finally come up with an ideal business plan that they will present to the future stakeholders of the business which initially would be the investment and commercial banks and or the investors. After the creation of the business plan, the search for the different sources of funding often follows. This part of the business-building process is often the most challenging one because it is in this part where the business owners can incur or avoid a lot of short to long term risks on the business. In case the subject business opted to choose the equity financing option to fund its initial capital expenditures and perhaps a certain portion of its overhead expenses over the short term, for example, it can be theorized that with that decision, the business’ owners may have just eliminated a significant portion of bankruptcy risks from materializing because through the equity financing option, they are basically allowing the business to go public and at the same time, they are also allowing the public, or in this case, the investors, to be a part owner of the business and its profits. The objective of this paper is to discuss the different funding options that newly established businesses can consider. The discussion will be backed up with primary and secondary information. Given that information, the author of this paper will have to gather primary and secondary data, and then analyze them, in order to present evidence and literature-backed findings and discussion about the topic. Aside from being backed with both primary and secondary data, the author will also present the discussion using both qualitative and quantitative research information that is information based on numbers and thorough analysis of all possible relevant underlying issues. It is a recognized fact that financing is one of the most challenging parts of starting a new business. In fact, even older, more established and profitable business still finds this aspect of managing a business a challenging hurdle. This is one of the fundamental truths that we cannot just change because of many reasons. For one, looking for options to finance a business often involves the task of asking people or an entire organization to provide the necessary resources, often in the form of liquid assets such as cash and borrowing power from banks. And most of the time, people or organizations that have the necessary resources and power would not be willing to provide these much needed resources for startup businesses without getting anything in return. This is not just true in the context of looking for funds to finance the operations and the establishment-related expenses of new businesses; it actually applies to individual borrowers of funds as well. The truth is that no people would be willing to give out a portion of their hard-earned money to anyone or in this case, a newly-established business without any form of promise or guarantee that any amount of money they put in for the business that is in need of a certain amount of capitalization funds would be returned in the future, with interest or return on investments (ROI), depending on the type of funding scheme that the capitalization fund-seeking organization has chosen. Most of the time, funding options for new businesses boil down to these two: debt financing and equity financing. There are of course other mainstream ways of financing the establishment of small to medium enterprises. Some of which may even be considered to be traditional, highly creative, or even radical, because of the steps and processes involved in generating the necessary funds for the establishment of the business or the expansion of its operations. In some countries for example, there are so-called Small Business Administrations (SBA) and Small Business Organizations (SBO). There are, in fact, no actual differences between these two organizations aside from the term used to describe them. Basically, their main function is to serve as a governing body for small to medium enterprises and it so happened that in some countries, these organizations have started to offer financial assistance to small to medium enterprises that are currently in their startup phase. The financial assistance often comes in the form of low interest loans—the lowness of the interest rates of the loan packages often depend on the standard borrowing rates in the country as set by its own central bank. In the case of SBAs and SBOs in the United States and the United Kingdom, for example, the interest rates offered by such organizations could be as low as 0% per annum because the prevailing borrowing rates in these two developed countries as set by their respective central banks have been close to 0% per annum at least for the past three years. For starters, these extremely low borrowing rates were a direct cause of the Global Financial Crisis that happened in 2008 which was also characterized by the freezing of liquid government and commercial assets (basically cash). As a response to the illiquid business environment (something which could theoretically trigger an even more severe form of economic meltdown), the respective central banks of the highly effected countries, such as the United States and the United Kingdom in our example, the interest rates were brought down to near zero levels in an effort to encourage not only businesses but also the people to spend money. It is also important to note that this extreme measure of lowering the standard borrowing rates to near zero levels was based on the hopes of the central bankers that high consumer and business spending would eventually bring back the pre-Global Financial Crisis levels of liquidity in highly developed economies. Funding a new business is a difficult issue. There are a lot of alternatives and options of funding a new business, but finding the best one is a difficult task. Starting a new business is usually connected with substantial financial resources. However, it can be inexpensive if a new entrepreneur knows how to organize financing and save on it. In order to find the right financial source for the new business one should possess certain skills and knowledge. I will undertake a research related finding financial sources for the new business by applying financial management approaches. A theory of debt and equity will be used in the current paper to examine which sources of financing are better for a particular venture. The calculation of funding for the new venture will be based on the relative benefits of debt and equity financing. The number of relevant literature was examined to work out an appropriate approach to the current research. Strauss (2011) provided a wide range of options related funding and raising capital for a new company in a highly competitive environment. Benjamin and Margulis (2013) touched upon the issue of how to organize private equity financing. Finkel andGreising (2009) compared advantages and disadvantages of debt and equity financing for the new enterprises. Debt market analysis was presented by Johnson (2013). Are you stuck on writing a thesis statement for film analysis and looking for more helpful guidelines? Then don’t pass our article about how to write movie review at Pro-Papers blog! Swanson, Srinidhi and Seetharaman (2003) provided a number of solution related balance between debt and equity financing. Marks, Robbins, Fernandez, Funkhouser and Williams (2009) offered a comprehensive research related capital structure. Finkel and Greising (2009) shed light on opportunities of fundraising, mastering private equity venture capital. Theoretical framework of company valuation was provided by Pinto, Henry, Robinson and Stowe (2010). The results of the theoretical research will be compared to the results of empirical study in terms of types of financing (debt or equity, internal or external). The conclusions will be based on the results of comparison of theoretical and empirical research. Also, the trends in funding the new businesses can be outlined. The tendencies in funding the new businesses depending on the industry they operate will be analyzed as well. The advantages and disadvantages of external and internal funding as well as debt and equity financing will be evaluated within the framework of the current research.